Investments in grid infrastructure, especially in remote, off grid locations, will increase the demand in the emerging markets of Africa and Latin America according to new research. 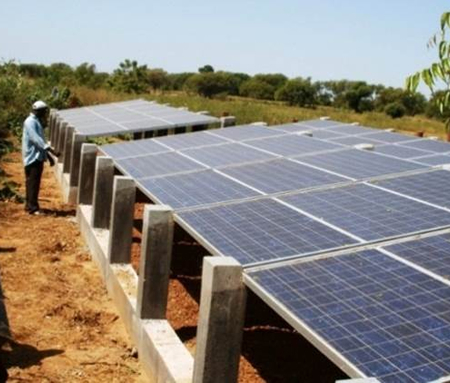 New findings recently released by Frost & Sullivan on the growth of the solar market over the next five years state that installed capacity is expected to rise from 50,780 MW to 76,600 MW at a compound annual growth rate of 8.6% between 2015 and 2020 according to the new research. The global solar market revenues are currently $113.75 billion and are expected to rise at a compound annual growth rate of 9.5% by 2020 to $179.13 billion according to the research. North America is set to experience growth due to fiscal incentives, the advancement of technologies and new solar leasing models. Furthermore, the extension of investment tax credit eligibility for solar generators until 2019 is expected to be a key driver. The region will have around 20 million residential prosumers by 2020. Withdrawal of subsidies and incentives will see the European solar market struggle. Overcapacity alongside price decline of solar modules will see suppliers struggling to make profits. Geographically, Asia will see aggressive expansion of solar PV due to economic growth, greater electrification and urbanisation over the next 5 years. Gunjan also talked about how the large utilities are being compelled to adopt solar PV as reserves of fossil fuels decline, extreme weather variations increase and distributed generation technologies become more affordable and culturally compatible with modern life. “Utilities will have to seek newer models supporting energy efficiency and energy management initiatives,” he said. “The solar PV supply chain participants are expected to develop new technologies that will lower costs and integrate PV with flexible infrastructure grids. Innovative business models to integrate solar power will also open opportunities in smart metering, demand response and net metering,” Gunjan concluded. Vergnet’s track record spans 25 years and includes successful renewable energy installations with solar solutions such as the Tarawa solar hybrid farm in the Republic of Kiribati, Central Pacific Island. In the Caribbean, Maddens wind farm in Nevis, St Kitts incorporates 8 Vergnet GEV MP-C wind turbines is the first in the country delivering energy and cost savings and reducing the island’s dependency on fossil fuels, such as oil.